Steamed about high gas prices? Tell THIS GUY. 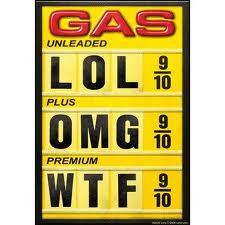 I am sure there is quite a bit of sticker shock going around as people gas up for their holiday travels. Our local paper here in Moore County — which, as you may know, was brought down from the mountain by Moses himself — published a piece about how you’ll pay more for gas in Moore County than in ANY of the eight surrounding counties. The average gas price in Moore County is eight cents per gallon higher than the state average, according to our paper of record. The paper found you can save as much as fifteen cents per gallon by simply crossing the county line to fill up. Filling up in Sanford, as opposed to Southern Pines or Pinehurst, saves you about five dollars. What’s going on here? Is it the “shysters” who own the gas stations? In most cases, NO. Most of these local owners are at the mercy of a regional fuel distributor. 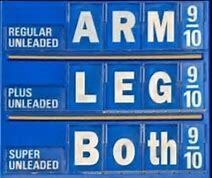 A friend of mine who runs a couple of convenience stores tells me he basically breaks even on gas. He makes money on the stuff INSIDE the store. McNeill Oil Company of Aberdeen distributes gas to most of the stations here in Moore County. The company’s boss, Frank McNeill, is the Democrat nominee for the 8th congressional district seat in November. If you see Frank out campaigning, ask him: WHY does gas so much more at the stations he services than at those he does not? ← #ncpol: FXD for NC-03? I told Gov. McCrory that we should drill offshore and open refineries in some of our counties with depressed economies, to get some NC citizens employed. Maybe it would help lower our gas prices some if we did. If course, there’s not much chance of that with Cooper in office. Here is a question for yall: Why is gas so cheap in High Point? It is usually 25 cents a gallon cheaper than Greensboro.